Jesus didn’t come after John Inquiring about a consensus of beliefs or taking an opinion poll in order to tell folk what they wanted to hear or reinforce what they had already heard. No! Jesus didn’t come “shucking and jiving,” not even praying and singing…He came with a message–a message from God and the power of the Holy Spirit. Jesus came preaching that the “Kingdom of God is at hand. It wasn’t a message that was meant to titillate the ears. The message of the Kingdom of God will definitely make some folks happy. But then again it will make some folks angry and upset. Something is wrong with a message where even those who are heaveily invested in the current status-quo can shout their acceptance without renoucing their attachment to it. 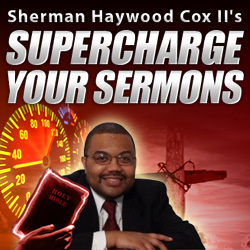 Who is Shouting at Your Sermons? To be more blunt….Something is wrong with any message where someone who abuses their spouse can shout in happiness without ever giving up their abusing ways. Something is wrong! That ain’t the Kingdom of God. That is simply placating to the status quo under the cloak of a false religiosity. Something is wrong when the weak and powerless can’t even go to church and the perpetrators are allowed to stay in their positions of power attempting to force the abused ones to “forgive” them. That ain’t the kingdom of God! It is a “shucking and a jiving.” It is playing church. You better preach grace. You better sing Amazing Grace, how sweet the sound, that saved a wretch like me. We all need grace, but if that grace never brings change, then we have to question whether that grace is true grace or the devil’s counterfeit. Call me a legalist if you want, say that I am not standing in the gospel if that makes you feel good, but the simple fact of the matter is that the Kingdom God is near. And that is not good news to everyone. It is not good news to those who do not wish to give up all for the kingdom. It is not good news to the perpetrators of violence against the weakest of humanity. It is not good news to those who are invested in the wickedness of this present world. It is not good news to everyone. So go head on and preach the Gospel of the Kingdom. Go head on and preach the “shouting texts” we need that. Go head on and preach “grace and forgiveness” we gotta have that. 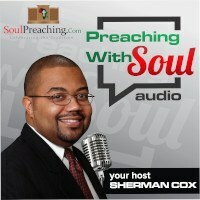 But never forget that if we are going to preach the full counsel of God that we must at some point get to the ethical mandate of standing with the least of these against the powerful, whether the powerful goes by the name: president, boss, pastor, deacon, or even daddy…It is your job as a preacher…either do it or sit down and let someone who is willing to do it preach the Gospel!